Solid Worktop Surface in Galley: CRISPY MILK. 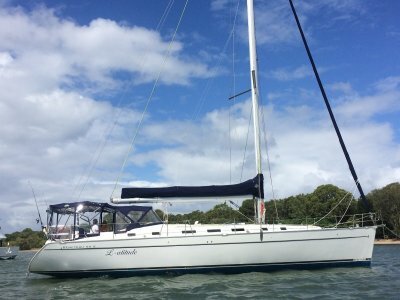 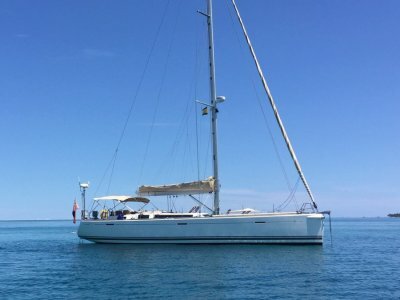 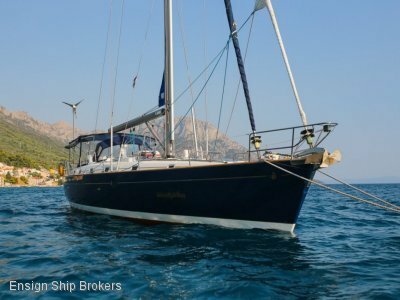 This vessel has an RRP of $834,000 but has been reduced to sell at $799,000. 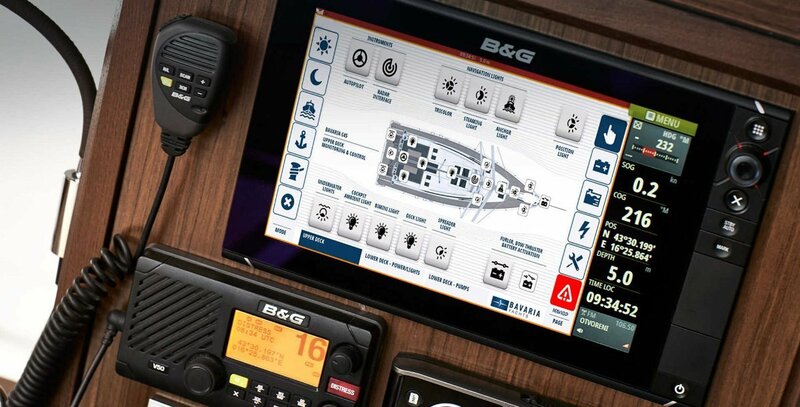 To learn more about this unique opportunity please call our office today! 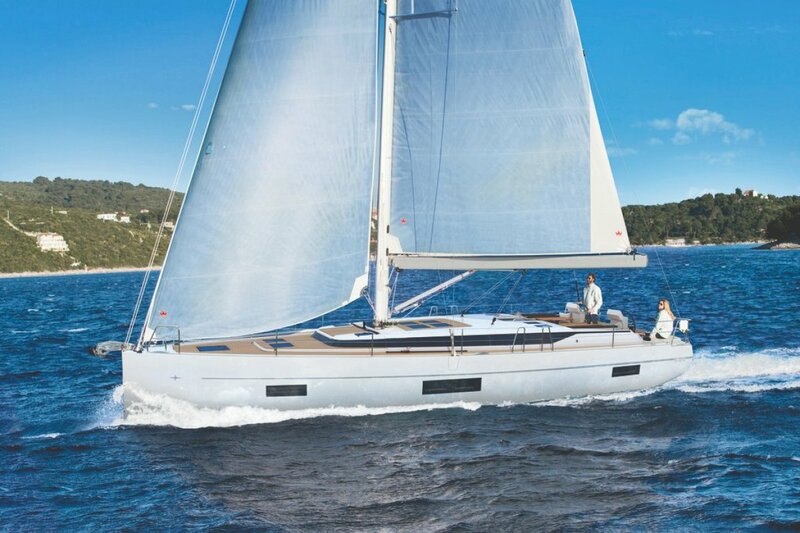 Our aim was to make the BAVARIA C50 nothing less than the new benchmark in the 50‐foot yacht category with its elegant, flat hull line and stunningly dynamic silhouette; she is both beautiful and functional. 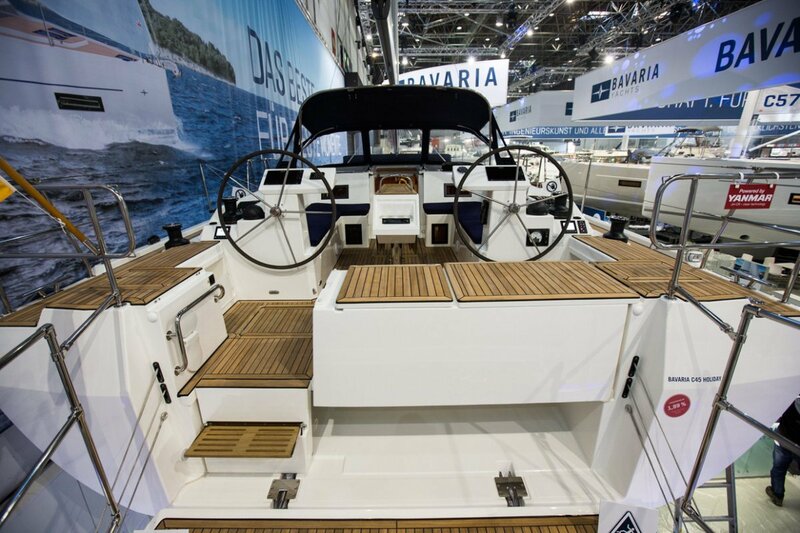 The deck is virtually free of edges and steps, the hatches recessed into the deck provide optimum lighting and ventilation. 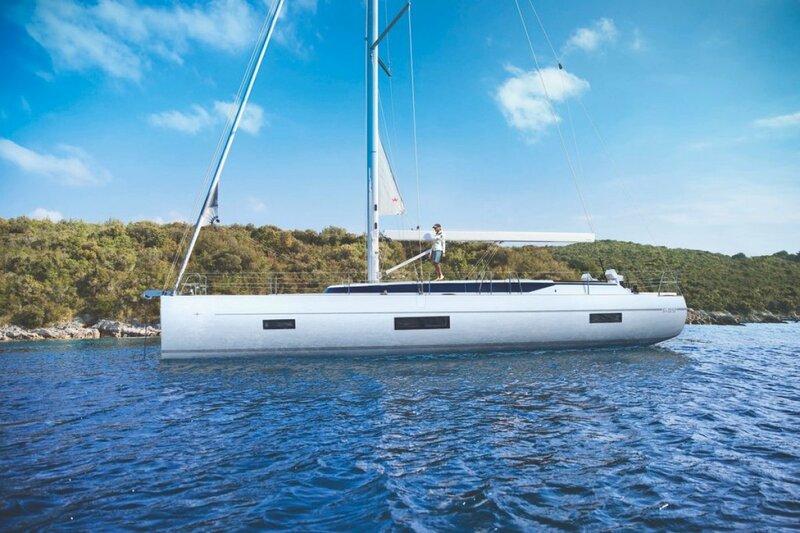 Everything is clear and minimalist, reflecting our understanding of good, modern yacht design. 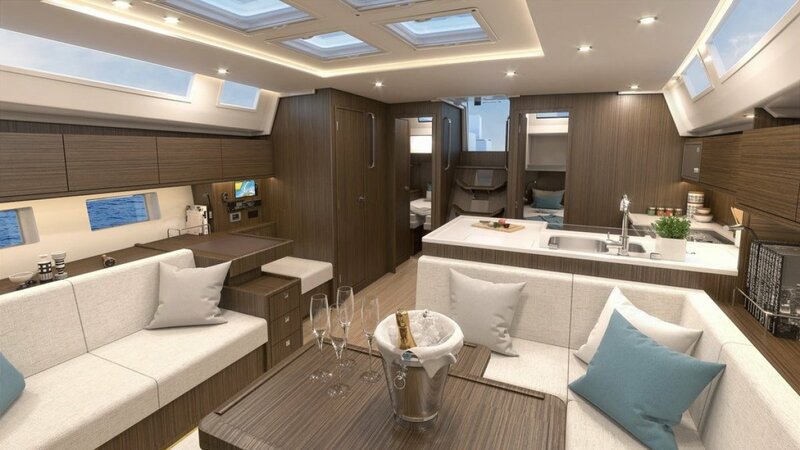 A touch of superyacht, even below deck. Everything feels grand and spacious sitting on the lounge sofa at the saloon table, surrounded by lots of natural light streaming in through the stylish light‐strip. 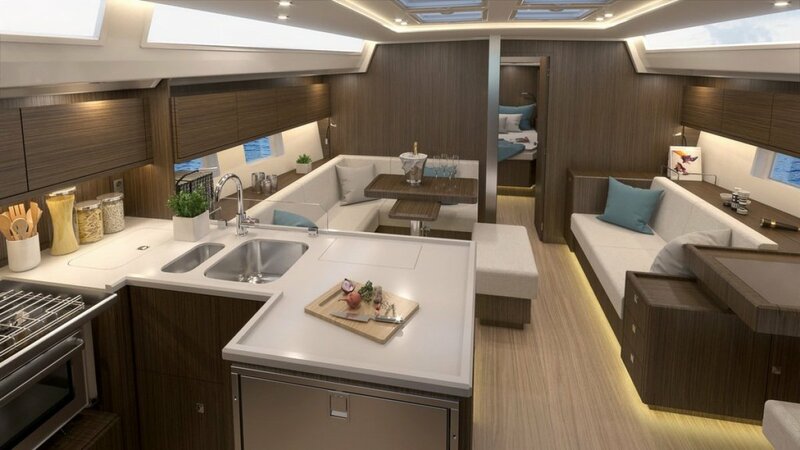 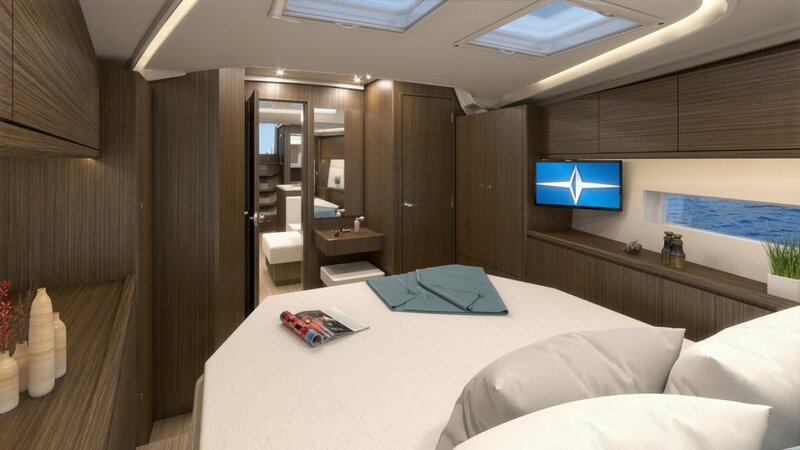 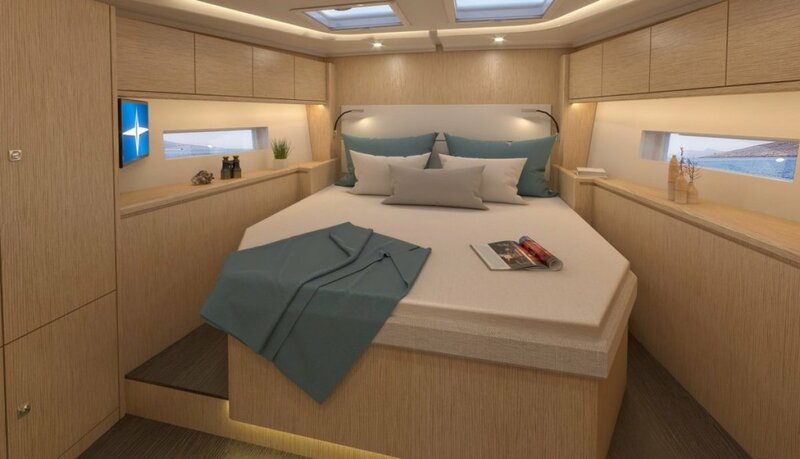 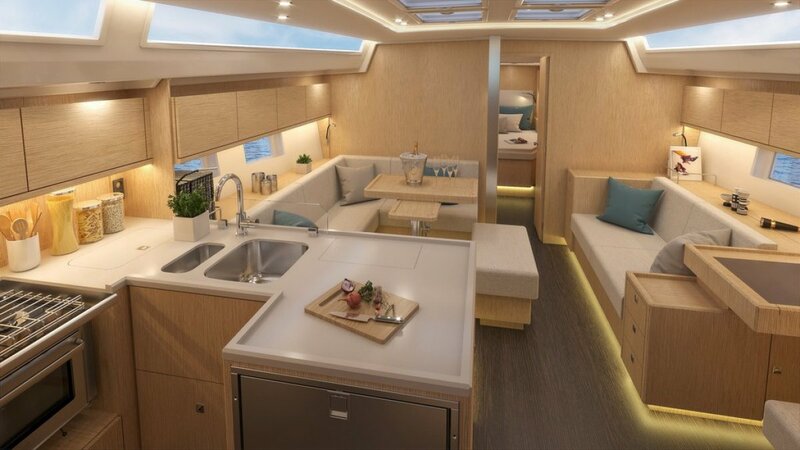 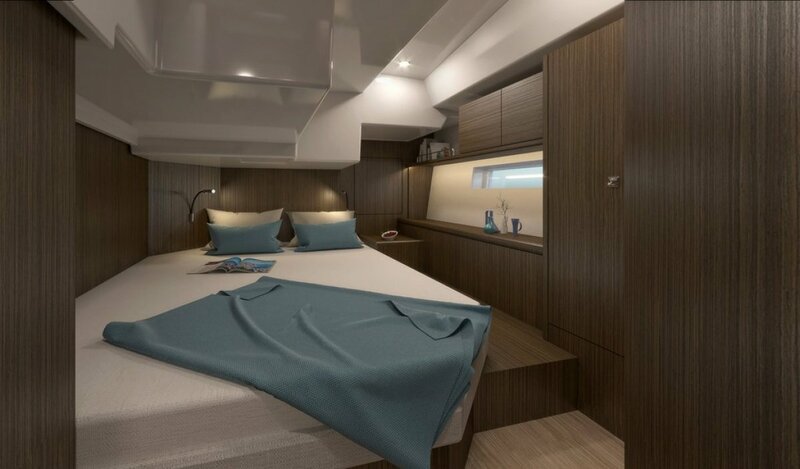 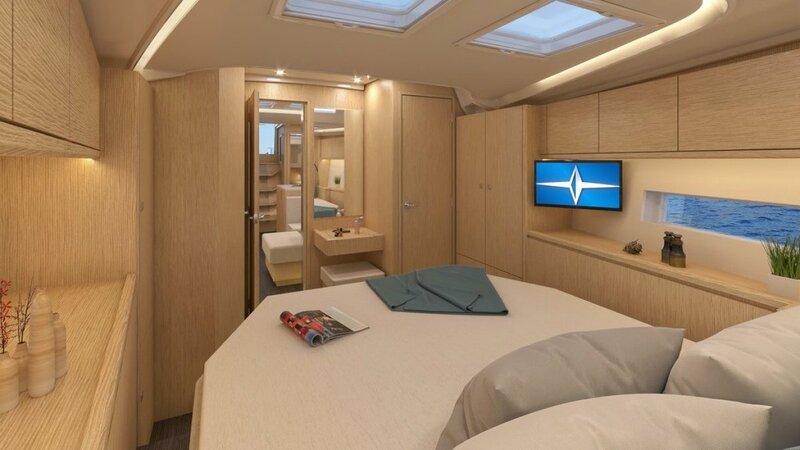 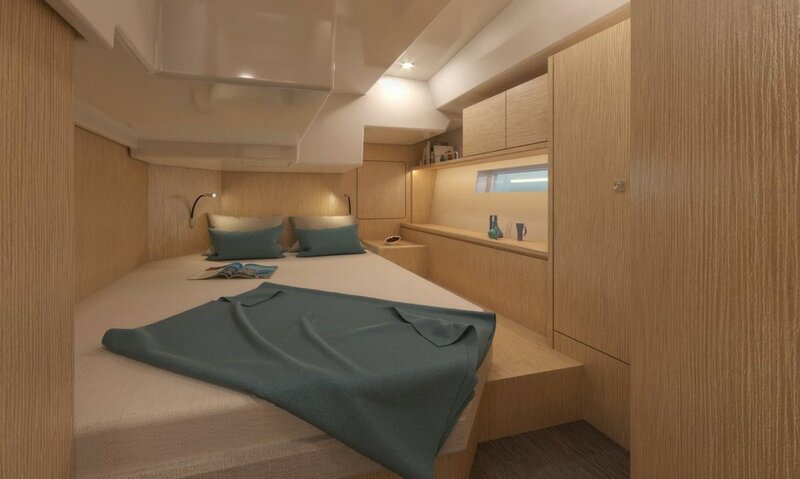 The intelligent LED lighting concept creates a tranquil atmosphere, enjoy memorable evenings gazing up at the night sky through the big deck hatches. 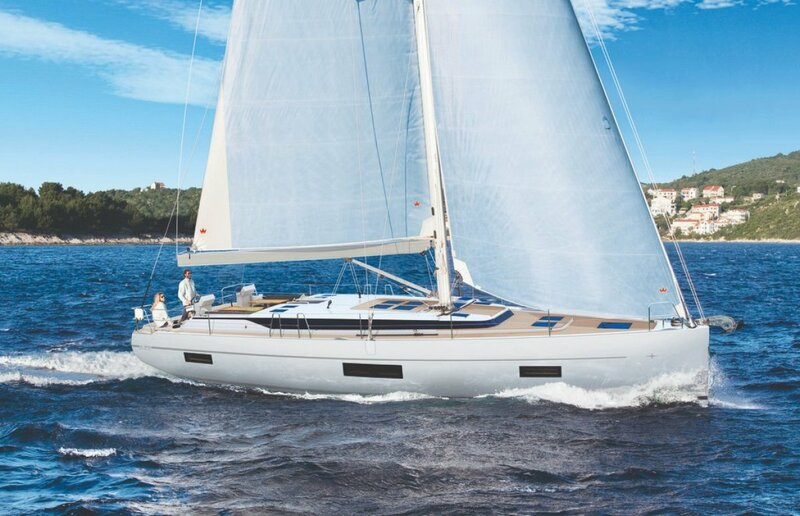 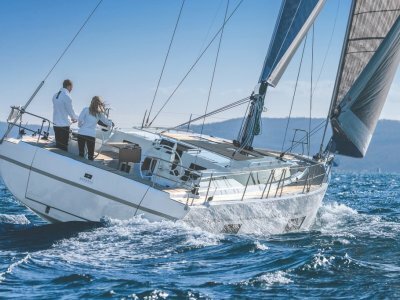 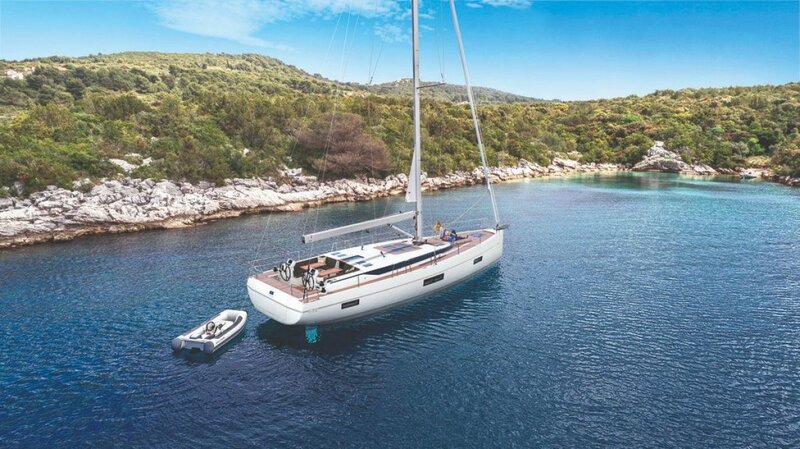 The BAVARIA C50 – a star in so many ways. 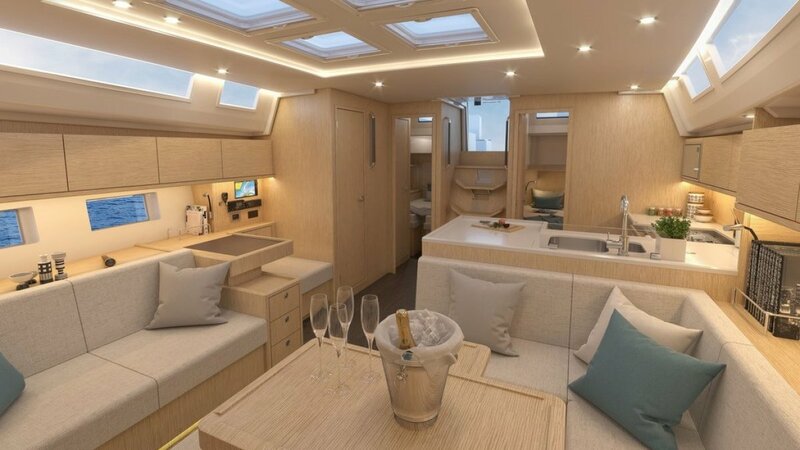 Queen sized island double berth with ensuite bathroom and separate shower stall inc storage space. 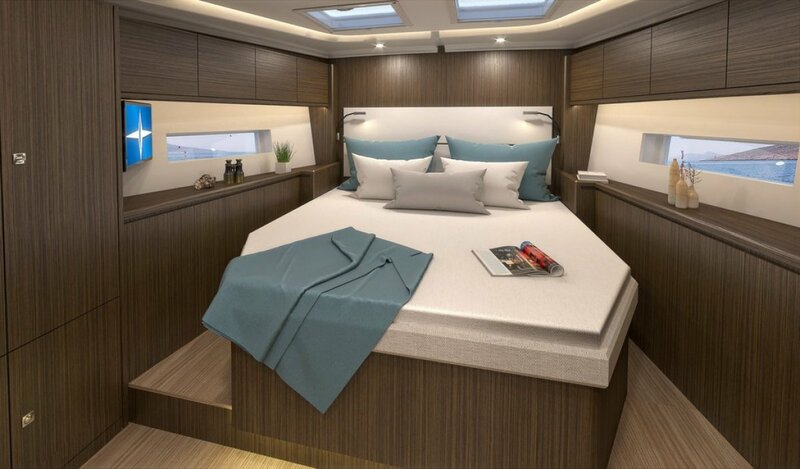 Upholstered headboard.